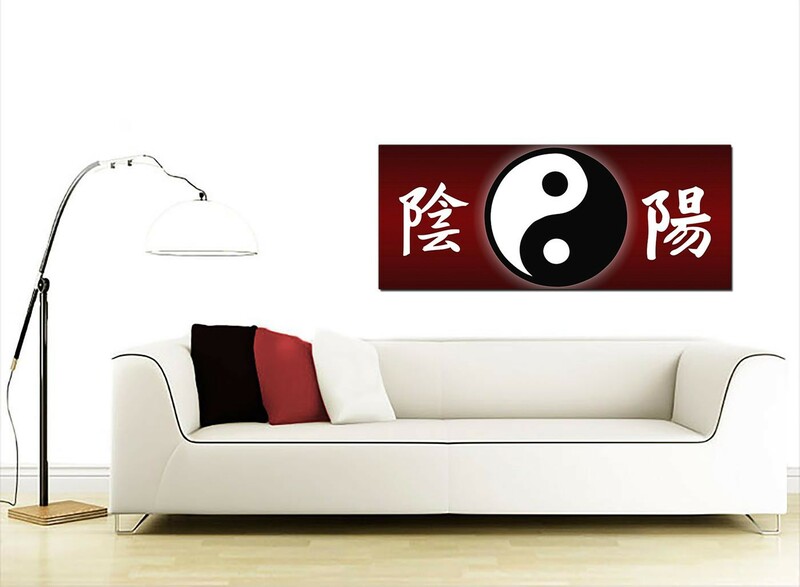 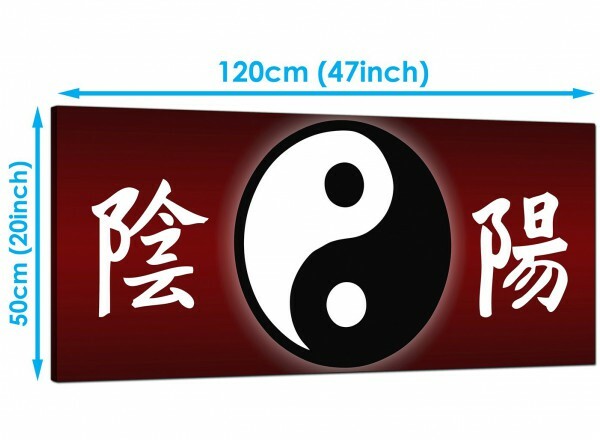 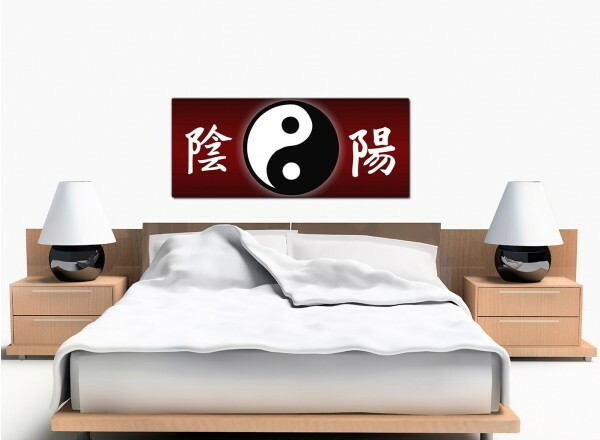 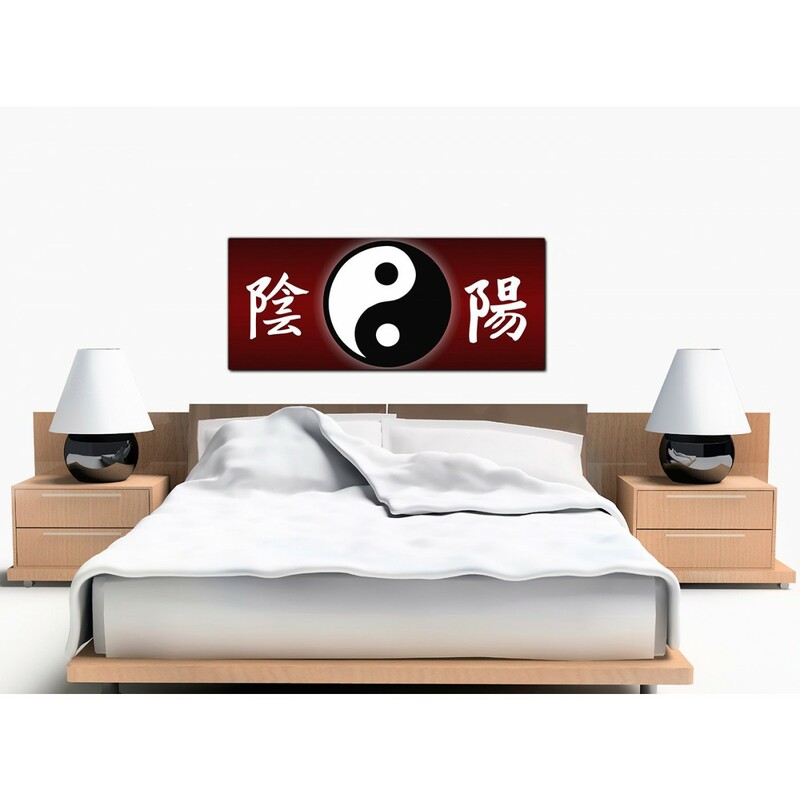 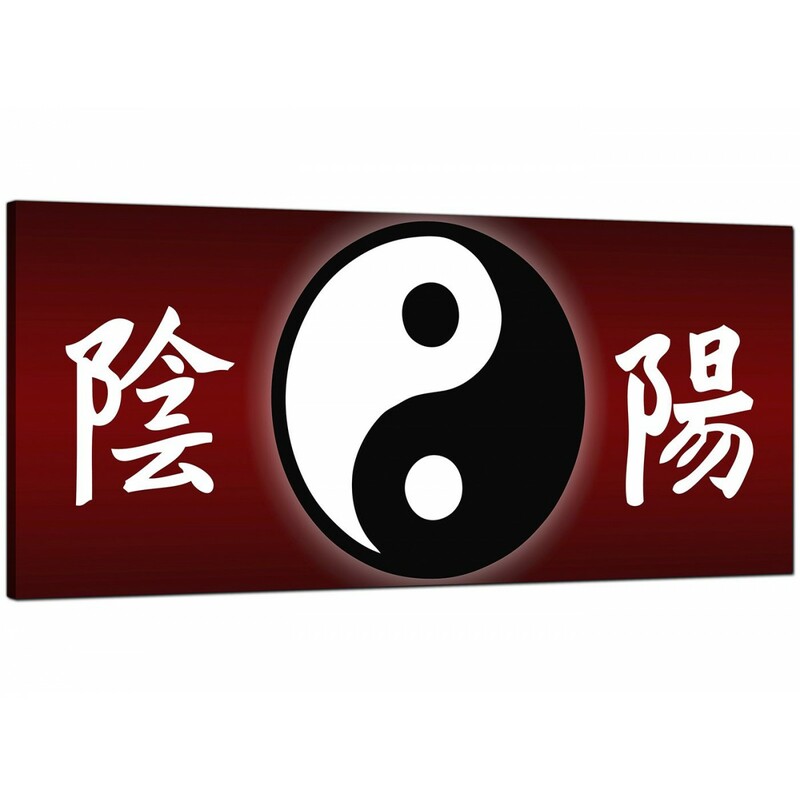 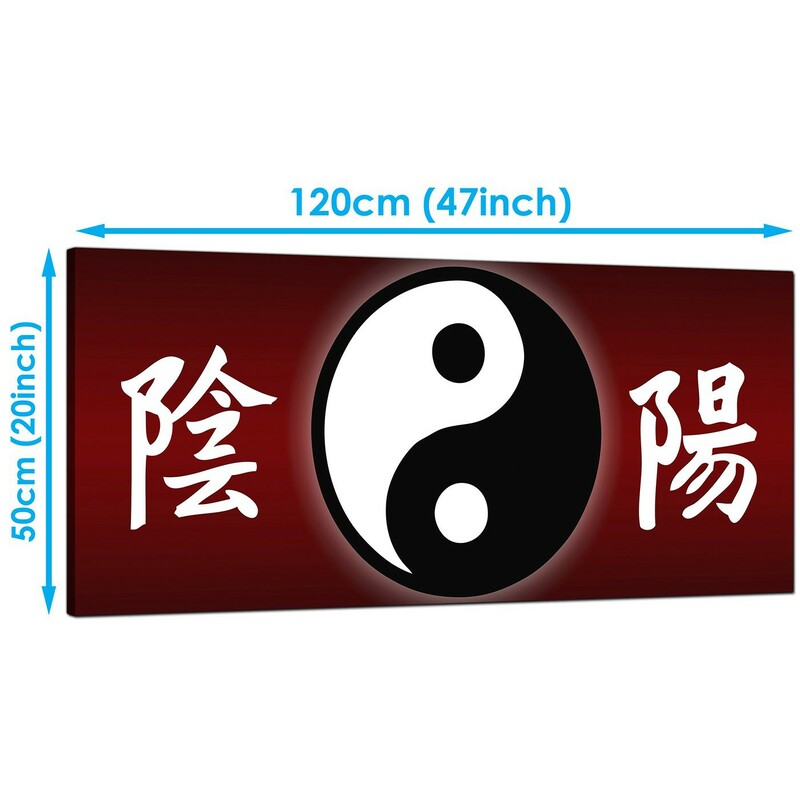 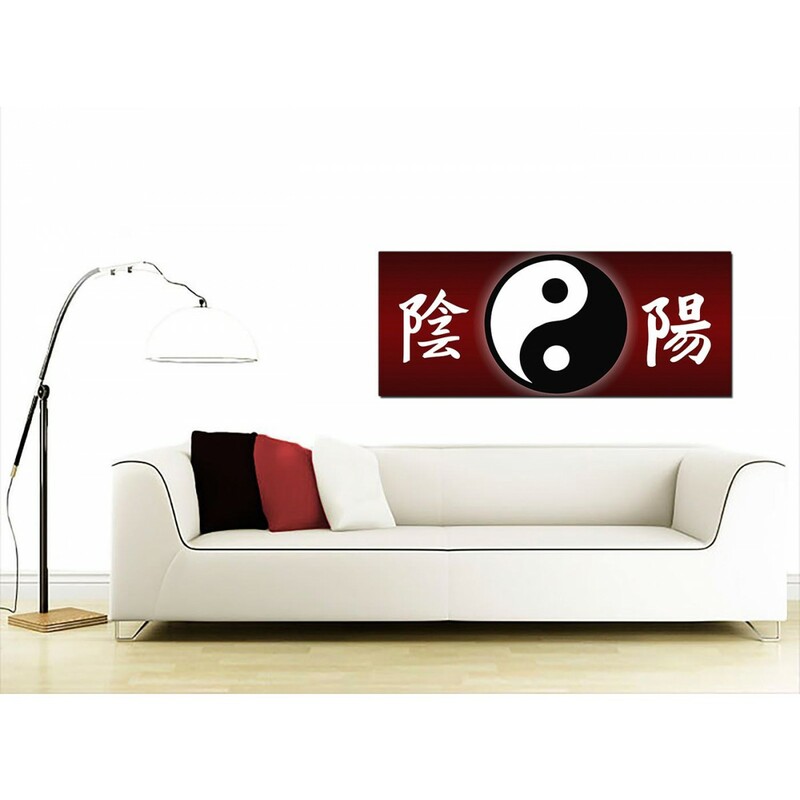 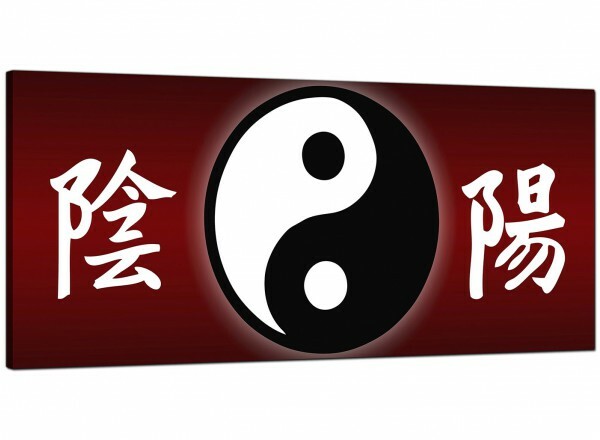 Oriental canvas art of Japanese calligraphy and a yin-yang symbol that will add Zen calm to your bedroom. 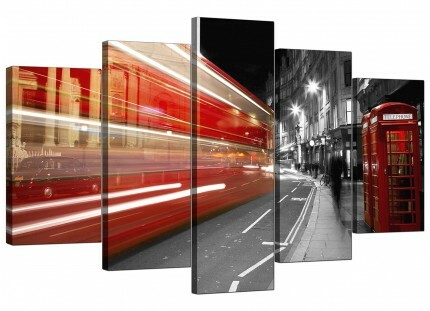 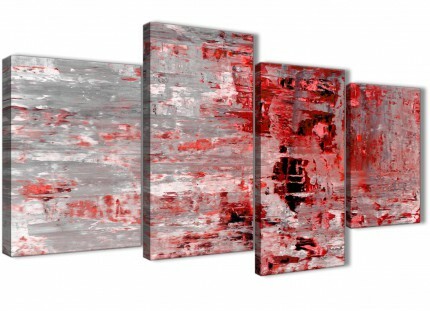 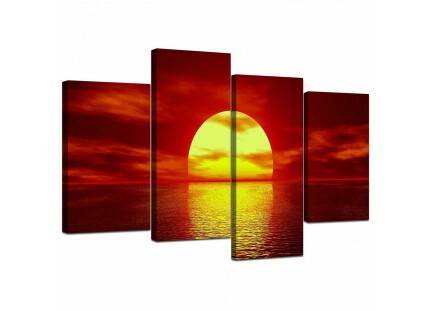 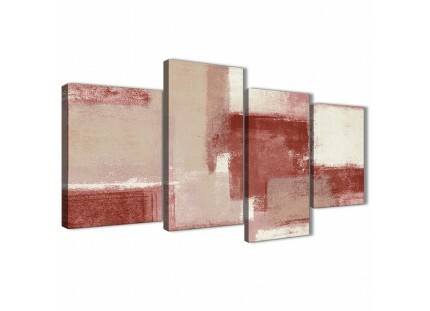 A sizeable red stylish panoramic print. 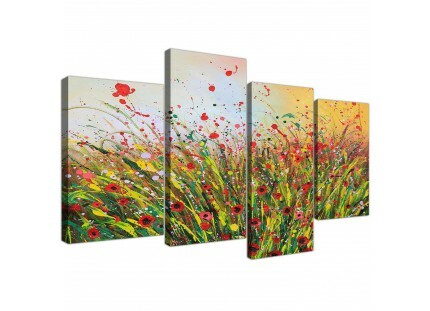 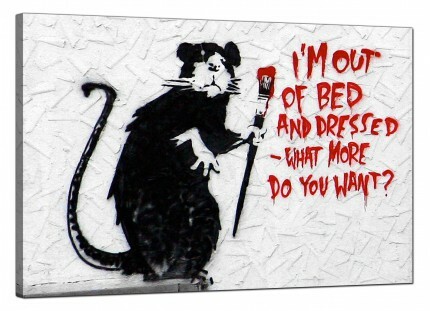 The artwork is reproduced to the highest quality with fade resistant inks. Ideal width for above your fireplace.